The Mayor is the chief elected official of the City and serves as its principal representative and spokesperson. Don Patterson is the Mayor of the City of Kettering, elected into office November 8, 2005. Don is the owner of a commercial real estate business and has served on City Council since 1998. His campaign for Mayor was centered around his business experience, the City’s proactive economic development program, and the natural match of the two. 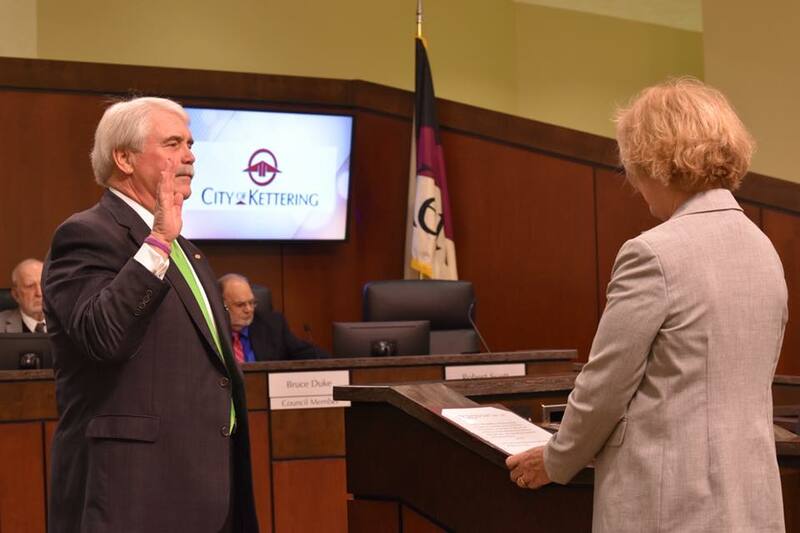 Mayor Don Patterson being sworn in by his wife Maureen.